College is the first step to the attainment of higher education, and it is important for the students to apply for colleges with an application consisting of a statement of purpose and a resume that display their educational qualifications and other skills that are relevant to the course of study they want to take up. 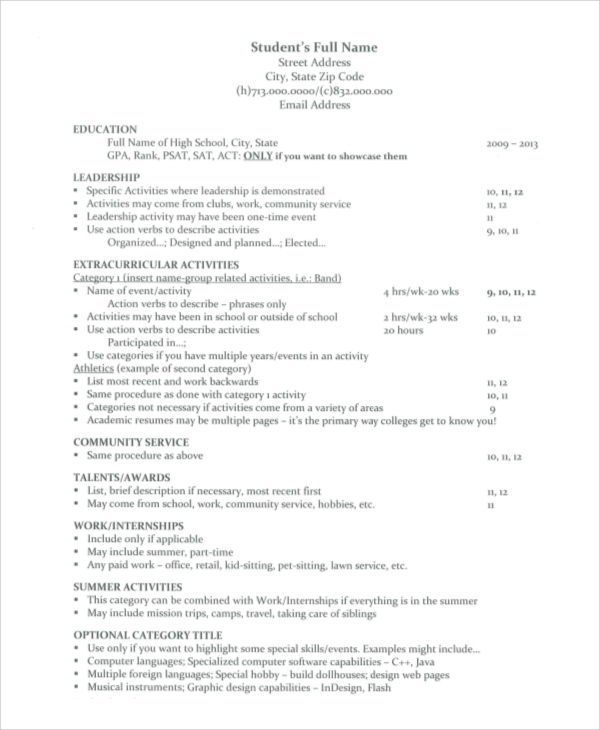 By applying with a resume, it is possible for the applicant to be admitted solely on merit. 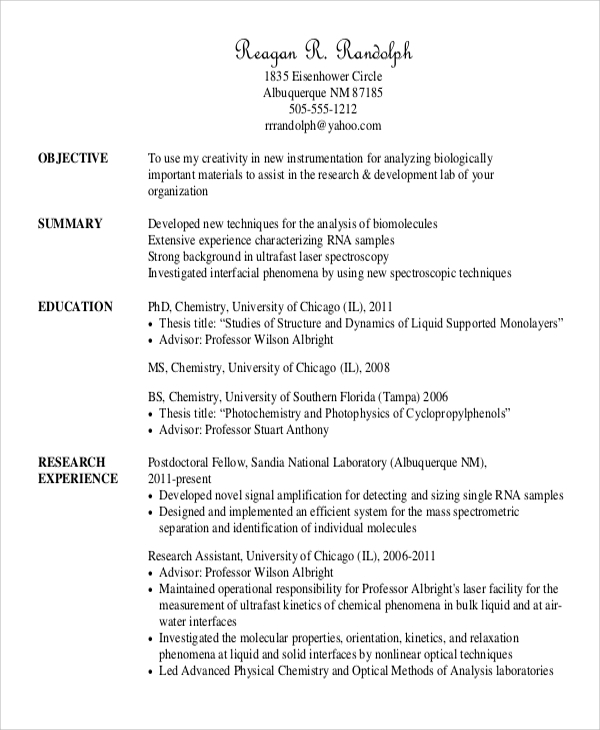 Here is a list of Free Sample Resumes. While applying for an admission in a college, it is important to understand the importance of the marks obtained in subjects that are crucial for being qualified in the area of study to be taken up. Sometimes, it is useful to work at the institution where you are studying. In such a situation, it comes in handy to file in a resume not only for applying for a course but also for a part time job. The Sample Resumes are useful for getting admitted into the course of study you wish to attend. 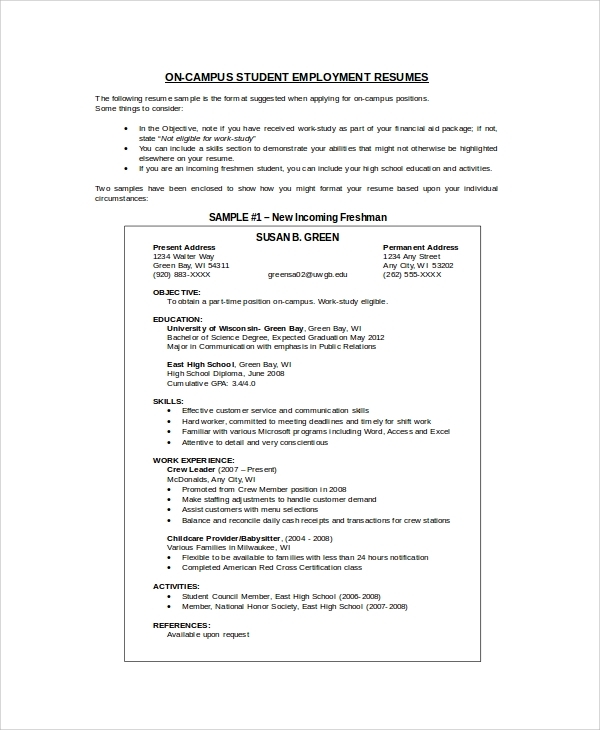 Making a good resume shows a sign of professionalism, commitment, and seriousness as well as the qualifications that will enable you to study in the college with the subject you are interested in. 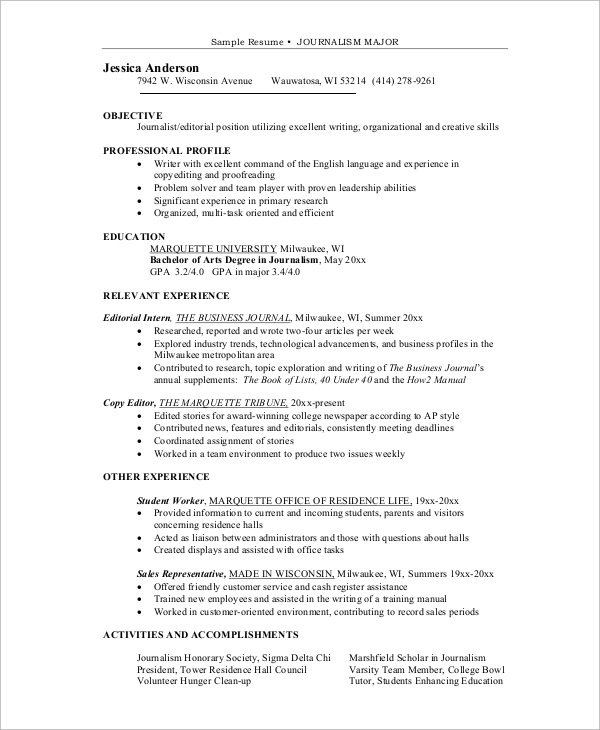 Most colleges and universities usually require resumes and a statement of purpose that would enable the recruiter at assessing your merit and ability to study in your course of choice, and so making a favorable first impression by a good resume will be useful for you and your academic dreams. Often, the person applying with a resume may not have adequate experience in the manner in which resumes are made. 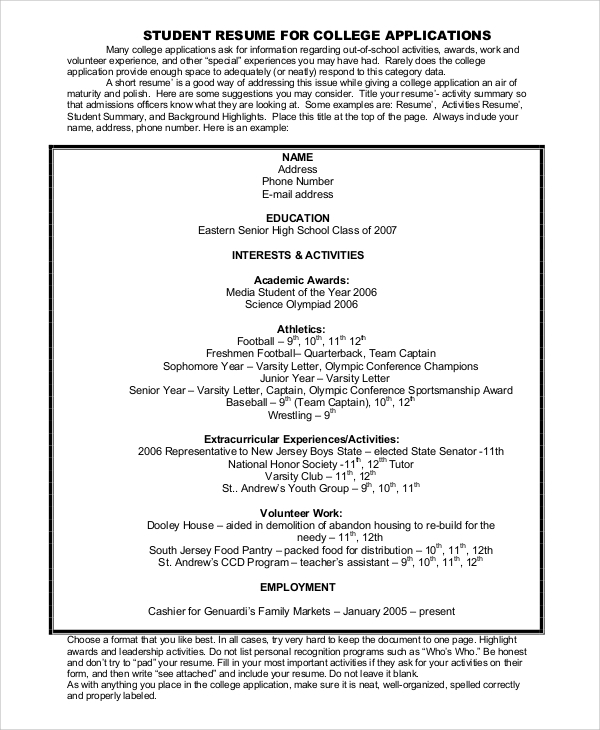 This template will give such individuals an idea of a resume. It is important to mention the objective in the resume while applying for a course or an internship so that the recruiters can get an idea of your aptitude for the course of study or internship. The Sample Resumes are targeted towards those applicants who wish to apply for the desired course of study in the institute of their choice. 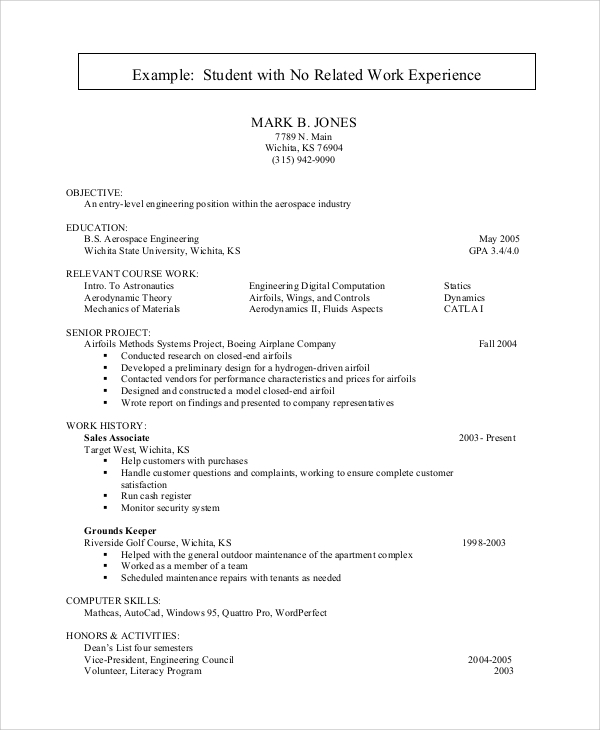 Knowing how to format a resume will be an ideal situation as it will give you an edge over other applicants by formatting your resume in a way that it is bound to catch the attention of recruiters. Your resume should be a mirror for both your potential as a student and the dedication with which you will engage in the study of the subject you wish to take up in your higher education. 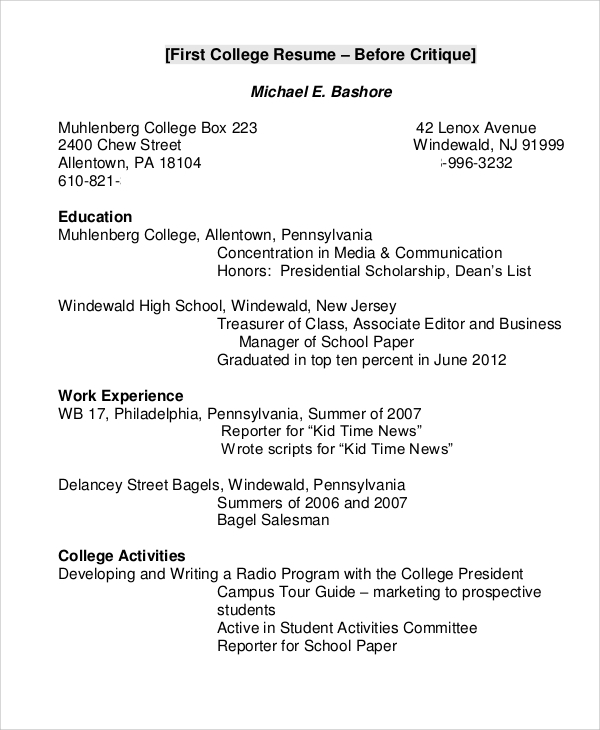 We have a wide variety of Resume Samples in our collection. The templates are completely editable, allowing you to choose the template that suits your needs and editing it with the information you want to provide. 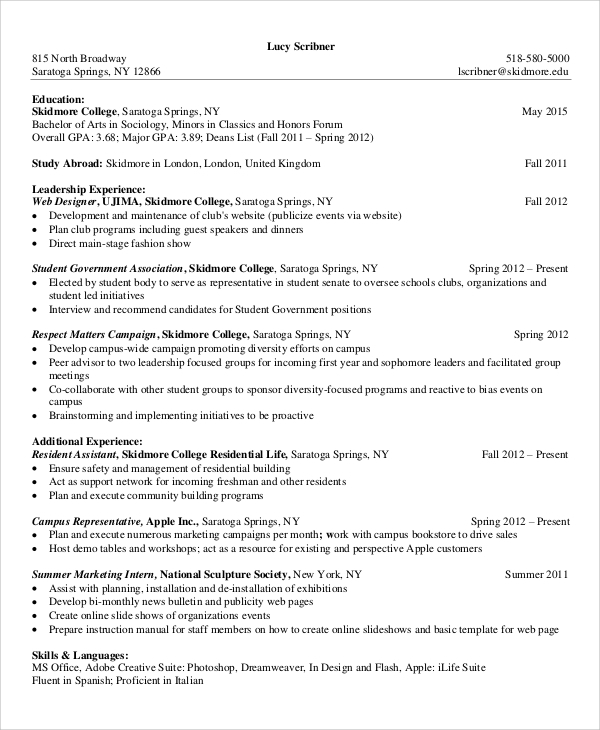 Or, you may use the templates as a guide in formatting your resume.